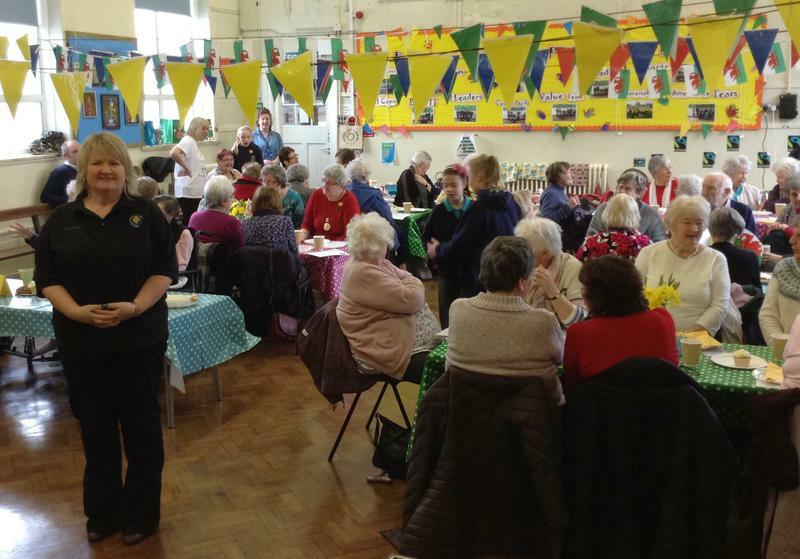 A group of pensioners have gone back to school after being treated by young pupils from Pencoed Primary to a special St David’s Day coffee morning. 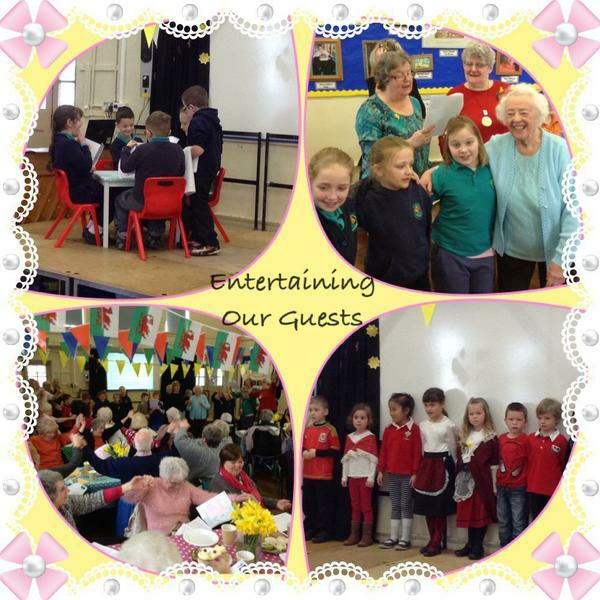 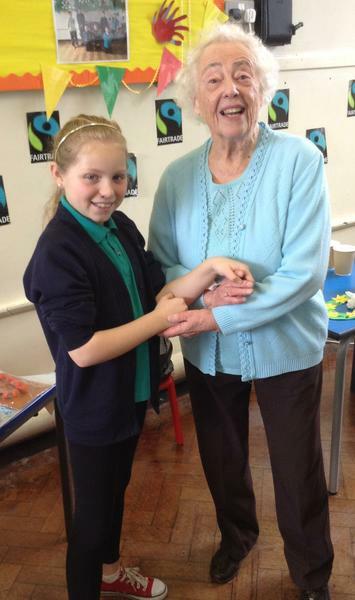 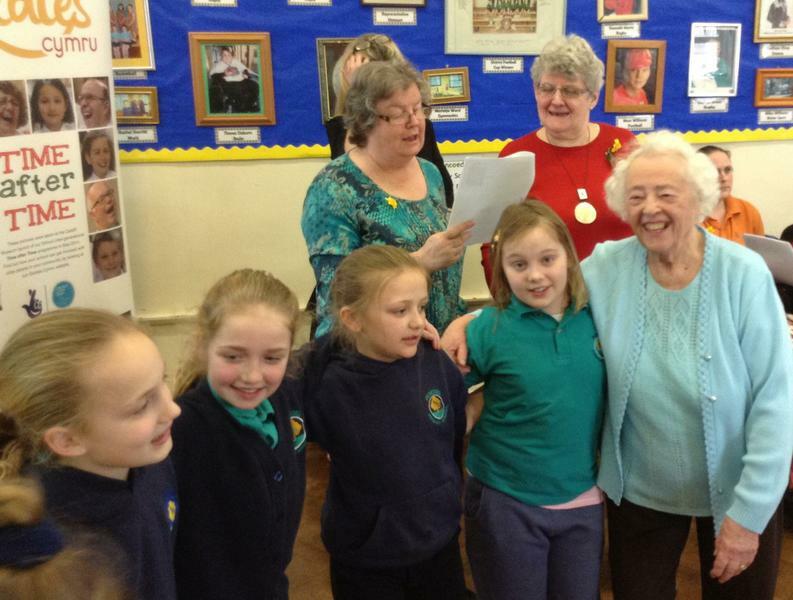 With Age Cymru having been selected by the children as their chosen charity this term, the pupils were keen to invite some of Pencoed’s most senior residents into their school hall. 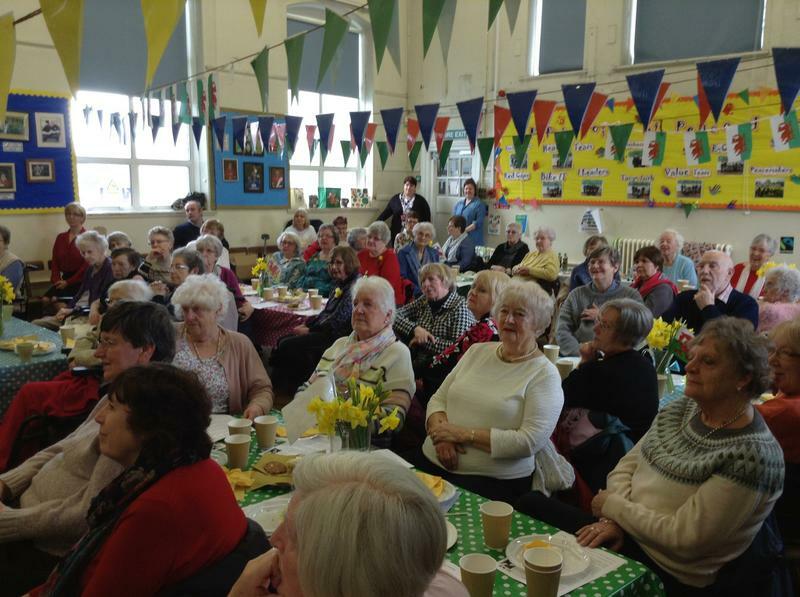 The visitors – many of whom had been former students at the school – were entertained by a concert which showcased the pupils’ talents before having a chance to enjoy a cuppa and a chat. 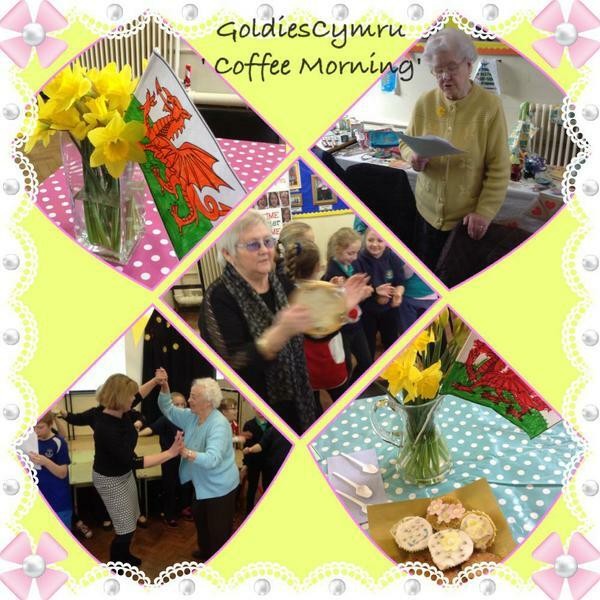 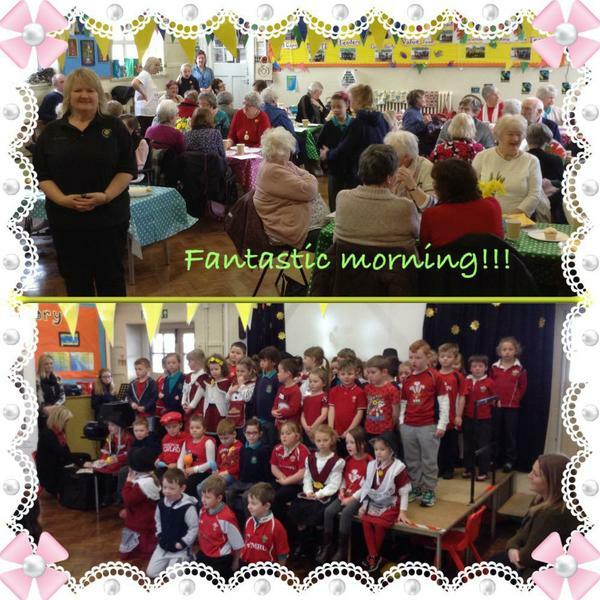 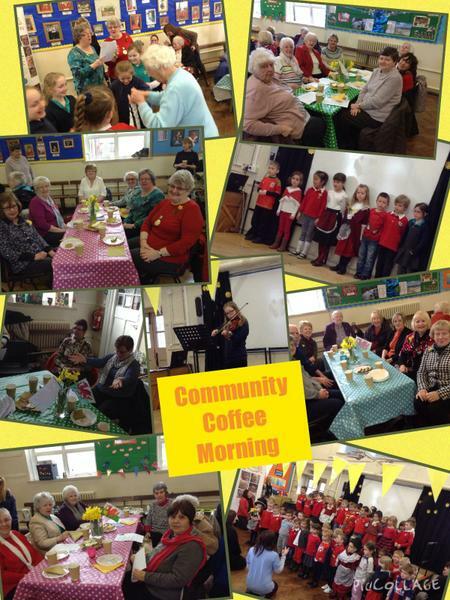 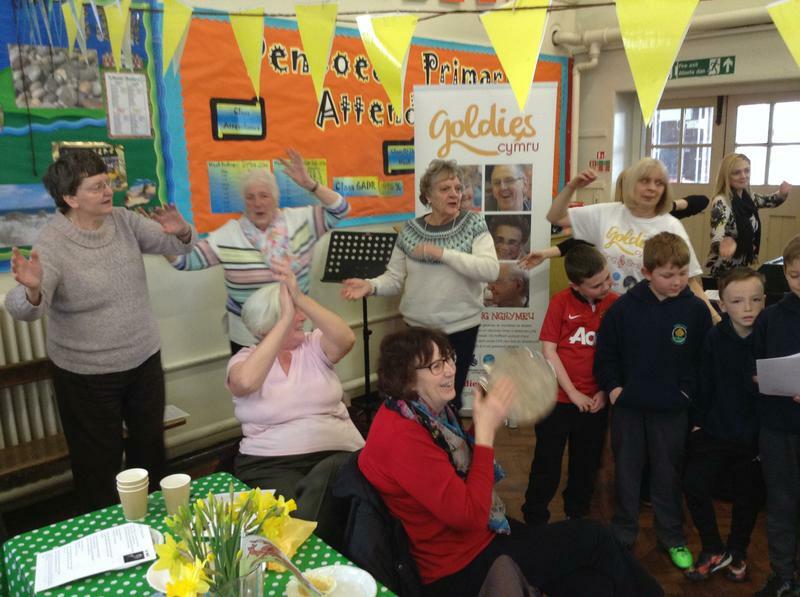 Also present for the coffee morning were representatives from Age Cymru, Pencoed Pensioners, Glanffrwd Care Home, Pencoed WI, Read to Dogs, Open the Book, and the Goldies Cymru charity who brought the morning to a fun conclusion by leading a good old fashioned sing-song.